As a growing church, investing in a innovative website might not be your top priority—but reaching the masses with the Good News certainly is. Did you know that more than 97% of consumers turn to the web to learn more about local organizations? Your website should clearly reflect faith-filled approach to living in a changing world. From leadership bios to special event information, effective church websites serve as a powerful community outreach tool. 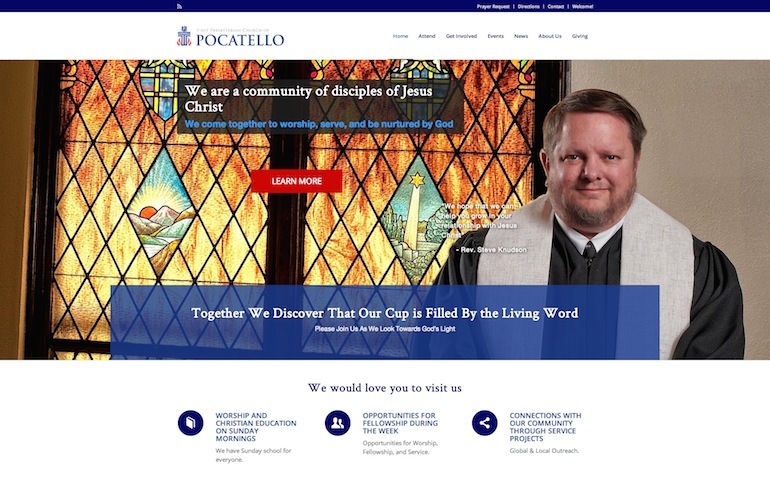 Spreading the Message through the web, with a proper church website design, gives your church an opportunity to expand, as you reach out to people who want to learn more about faith and nurturing their spiritual health. At OpenPotion, our talented team works to clearly communicate the vision of the local church, while simultaneously ensuring your website serves as an authentic representation of your congregation.